Social Security was on the agenda this week at the mid-year conference of the National Congress of American Indians (NCAI) in Lincoln, NE. This conference is a chance for tribal leaders to vote on resolutions that will establish the organization’s position on issues relevant to Native people and tribal nations. One resolution,Social Security and American Indian Elders, called for NCAI to take a position against raising the retirement age, against reducing Social Security’s cost-of-living adjustment (COLA), and for finding broader sources of income to ensure Social Security’s solvency. In essence, the resolution asked NCAI’s member tribes to push back against cuts to Social Security. How did the resolution do among the voting tribal leaders? It passed. Unanimously. Ensuring Social Security’s future is not often at the top of the priority list of issues facing Indian Country. The annual unemployment rate on the Blackfoot Reservation in Montana is 69%, nearly triple the peak unemployment rate of the Great Depression (25%). Indian health care receivesabout half the per capita federal funding that Congress provides for federal prisoners. American Indians and Alaska Natives have an infant death rate that is 60 percent higher than whites in the US. Even so, Social Security is an important issue for Native Americans: 49 percent of elderly, unmarried American Indian and Alaska Natives rely on Social Security for 90 percent or more of their income. One of the authors of the resolution, Dave Baldridge, Executive Director of the International Association of Indigenous Aging (IA2), sees the unanimous support of the resolution as “a remarkable precedent as an ethnic statement in support of Social Security.” This moment is the culmination of a year-long effort by IA2 to lift up the voices of American Indian elders to the national stage on this issue. The course of the resolution (#LNK-12-011) began in New Mexico over a year ago. IA2 received funds in March 2011 through the National Academy of Social Insurance’s project, Improving the Lives of Vulnerable Americans through Social Security, which aims to educate vulnerable communities and empower them to make their voices heard in policy debates. As part of their project, Baldridge and his colleagues visited 16 New Mexico Indian Pueblo senior centers, meeting with tribal elders to learn their thoughts and concerns about the future of Social Security. They met with more than 350 elders and recorded more than 450 of their comments. They then created a resolution reflecting the elders’ comments. But to build enough support for this resolution before it was considered at the NCAI mid-year conference, IA2 worked to secure local support. The elders’ non-profit organization, the New Mexico Indian Council on Aging, unanimously adopted the resolution in October 2011. Two months later, the All Indian Pueblo Council, the governing body of New Mexico’s 19 Indian Pueblos, enthusiastically passed the resolution. They also agreed to submit it, under their auspices, to the nation’s tribal leaders at the NCAI conference. 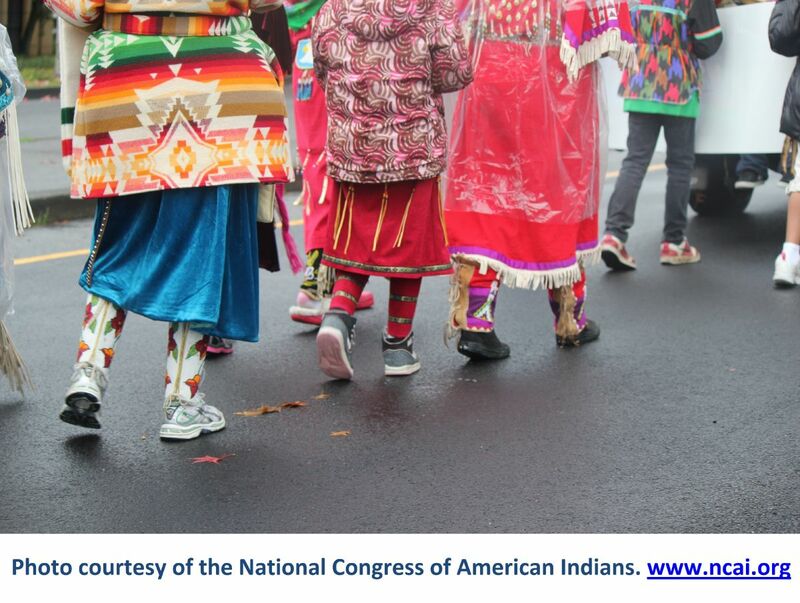 Established at a Constitutional Convention in 1944 to protect tribal sovereignty from US government’s assimilation policies, NCAI is the oldest, largest, and most representative American Indian and Alaska Native organization with over 250 member tribes. The voice of NCAI is the collective voice of millions of American Indians and Alaska Natives. The unanimous vote from NCAI’s tribal leaders in favor of the resolution is significant show of support for Social Security from Indian Country, and follows a string of public opinion surveys that show unwavering support from Americans of all backgrounds for maintaining benefits.